Groundfish in Alaska are caught as part of a multi-species fishery. Out of the 43 species and gear combinations, only 1 was found to be unsustainable: shortspine thornyhead caught by bottom trawl in a separate report. Much information is available on stock status, and data indicates that populations are healthy. The groundfish are fished at a sustainable rate. Management of a multi-species fishery can be challenging. However in this case, management is excellent as regular stock-assessments are performed with up-to-date assessments available, and regulations exist regarding biological reference points, harvest control rules, and incorporation of uncertainty when determining catch limits. Some non-targeted species caught in the Alaskan groundfish fishery include: steller sea lions, giant grenadiers, killer whales, starry flounders, tanner crabs, snow crabs, Pacific sleeper sharks, longnose skates, spiny dogfish, northern fulmar, atka mackerel, sharpchin rockfish, harlequin rockfish, black-footed albatross, laysan albatross, and Pacific halibut. Amongst these species include those whose stock status is of concern, whose inherent vulnerability to fishing pressure is high, or whose fishing mortality rates are high. Bottom trawls have the potential to cause large amounts of habitat damage due to the fact that they drag across the ocean floor. Although longlines, pots, and jigs are immobile gear types, they nevertheless make contact with the ocean floor and have the potential to cause damage. In order to mitigate these impacts, a number of regulations including spatial restrictions are in place. 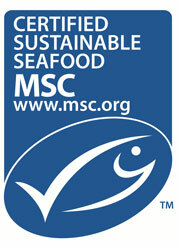 Ocean Wise recommends some Marine Stewardship Council (MSC) certified fisheries, but not all. Learn more about how the MSC certification was bench-marked to Ocean Wise. Greenland turbot are caught offshore using bottom trawls, whereas bottom longlines and bottom gillnets target inshore populations. Catches of Greenland turbot peaked in 1970 at 180,728 metric tonnes. In 2012, 122,577 mt were caught, of which 13,432 mt were caught by Canada. 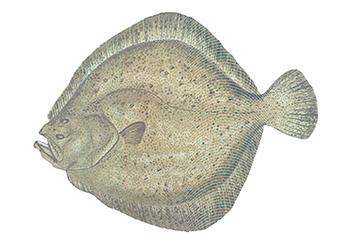 Greenland turbot found in the US is primarily from Alaska. There are two populations of turbot in Greenland which are divided into several subareas. Two inshore populations are stable and one is decreasing, although new recruits are expected for the decreasing population. The offshore populations are either stable or slightly increasing. It is unknown whether the fishing effort is sustainable. The Greenland turbot are managed with total allowable catch limits which are based on population abundance. Management measures and data for bycatch reduction are lacking in the fishery. However, some depleted and vulnerable species such as Greenland sharks and thorny skates are known to be caught, and there are minimal regulations to decrease bycatch. Bottom trawls have the potential to cause high levels of damage to the seafloor. Impacts of bottom trawling on deep water corals are of high concern. By contrast, bottom longlines and bottom gillnets do not drag across the seafloor, and cause minimal habitat damage.